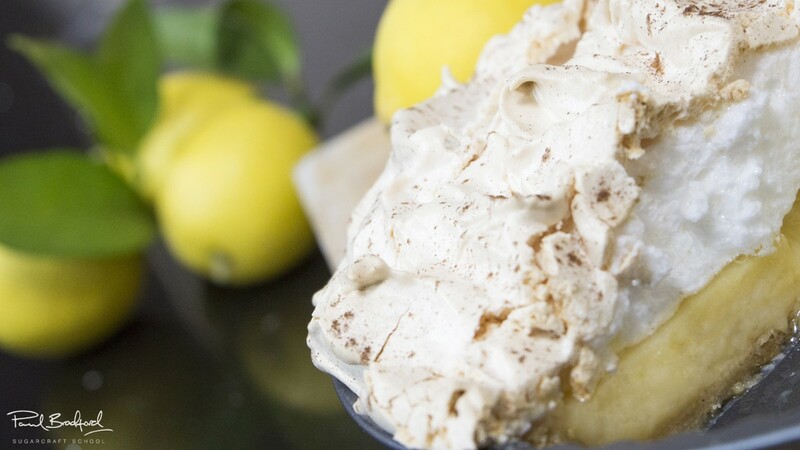 Mrs Jones shows us how to make her delicious lemon meringue pie…you should make two, they’ll be gone quick! 1. Lightly grease the base and sides of the flan tin. 4. Add egg and mix till just combined. 5. Add the flour and mix till just combined. It should resemble a crumbly mixture. 6. Turn out onto the work surface and gently knead to form a soft dough. DO NOT OVERWORK. 7. Roll out to the required thickness (approximately 3 – 4mm) and line the flan tin. Do not stretch the pastry. Gently push it into all the nooks and crannies of the flan case. 8. Trim away any excess pastry from the sides of the flan tin but be careful not to cut it below the top of the flan tin. 9. Cover the flan tin in cling film and place in the fridge for 30 minutes. 10. Line the flan case with baking parchment and fill with uncooked rice, (or uncooked pasta or baking beans) to the top. 11. Place the flan tin on a baking sheet and bake in the oven for 15 minutes. 12. Turn the oven temperature down to 165C and remove the baking parchment and rice. 13. Bake the flan for a further 5 – 10 minutes till the pastry turns a golden colour. 14. Remove from the oven and leave till cold. DO NOT REMOVE THE PASTRY FLAN FROM THE TIN. TIP: Raw sweet pastry can be frozen in bags in small manageable chunks. Simply defrost as much as you need in a fridge before rolling out. 1. Bring the water to boil in a pan on the stove. 2. Mix the lemon zest and lemon juice with the cornflour in a bowl. 3. Add the lemon mixture to the boiling water and, stirring continually, bring to the boil, turn down to a medium heat and cook till it coats the back of a spoon (approximately 3 – 5 minutes). 4. Remove the pan from the heat to cool down for approximately 5 minutes. 5. Mix the egg yolks and sugar together in a bowl, pour into the pan of lemon mixture and whisk well. 6. Bring the pan to a medium heat on the stove, stirring continually till the mixture has thickened (approximately 3 – 5 minutes). 7. 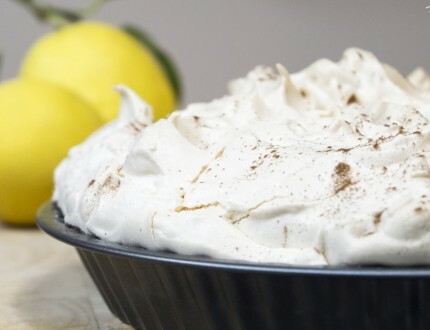 Remove from the heat, and cover the pan to keep warm while the meringue topping is being made. 1. 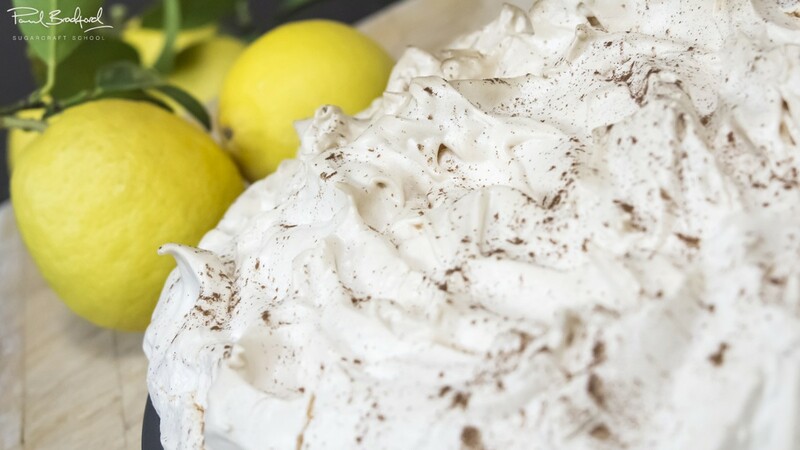 Whisk the egg whites till they reach a soft peak consistency. 2. Gradually add the castor sugar (a couple of tablespoons at a time) and whisk well in between additions. 3. Add the cornflour and whisk till the mixture is soft and glossy. 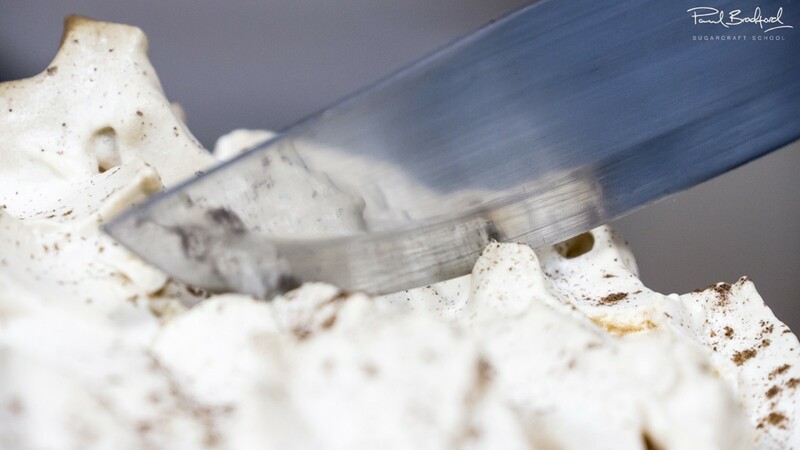 TIP: This meringue mixture can be used to make little meringue shells. Simply pipe in circles 5cm apart on a baking sheet lined in baking parchment. Bake in a preheated oven at 120C for approximately one hour. 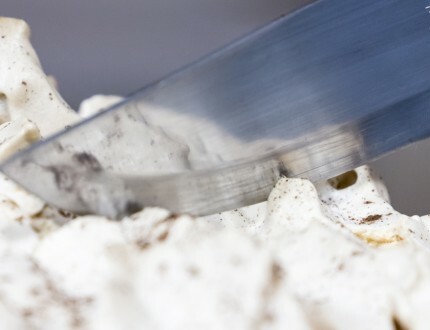 Turn the oven off and leave the meringues in there till cold. 2. Place the flan tin on a baking sheet. 3. Stir the lemon filling and pour it into the pastry tin. Fill to the top of the pastry flan tin but not over the edge. 4. 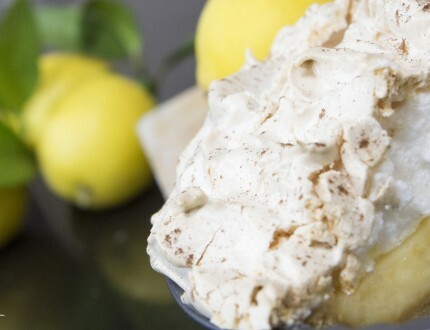 Cover the lemon filling with the meringue up to the edge of the pastry flan to ‘seal’ the filling in. 5. 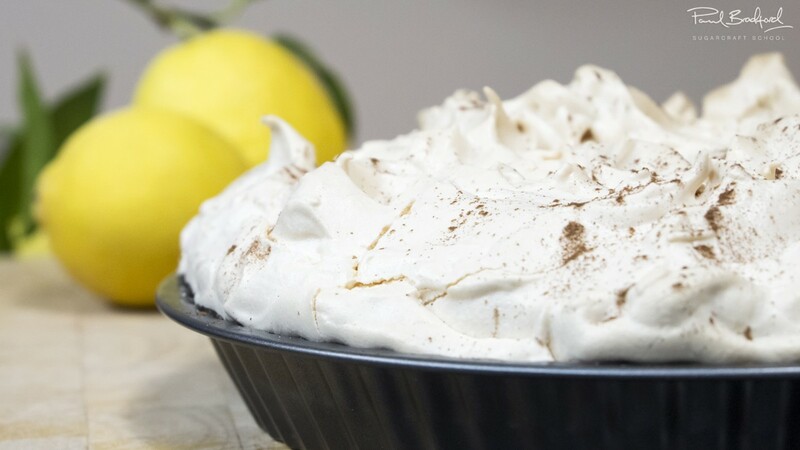 Bake in the oven for approximately 10 – 15 minutes till the meringue is golden brown. 6. Remove from the oven and allow to cool before removing from flan tin. 7. 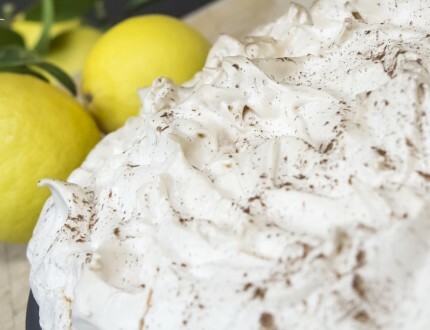 This pie can be eaten hot or cold drizzled with double cream! 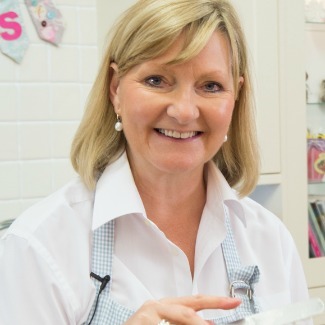 Mrs Jones shows us how to make her delicious lemon meringue pie...you should make two, they'll be gone quick!